A couple weeks ago I got to attend a super fun (and amazingly decorated) party thrown by San Antonio friend – photographer and blogger Candice Stringham. 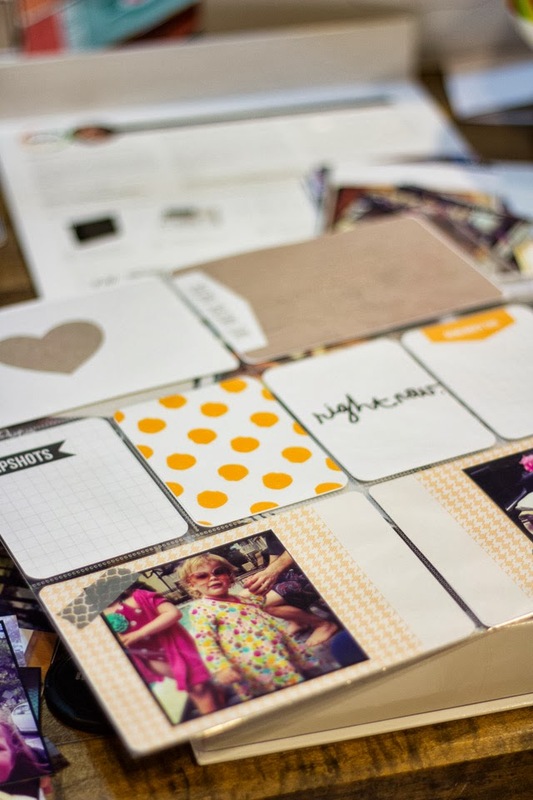 She brought together several local bloggers for a night of “Project Lifeing”. 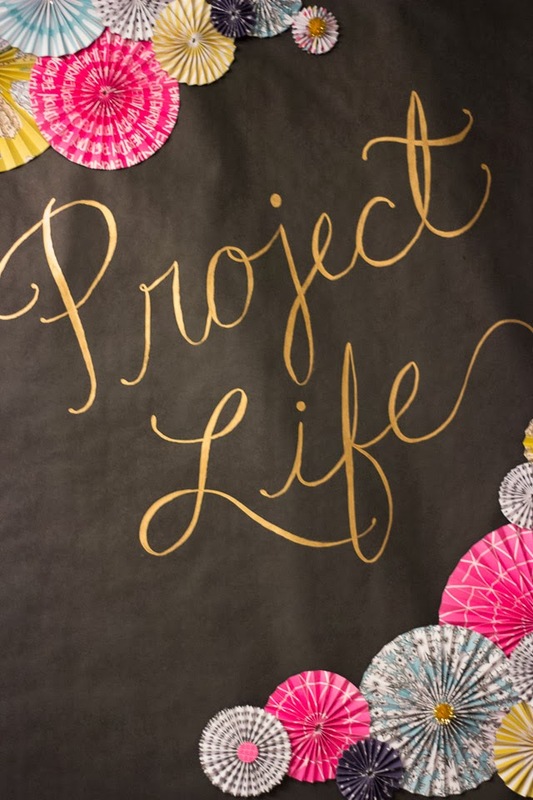 Never heard of Project Life? Neither had I until Candice introduced me to it, but I’m so glad she did! 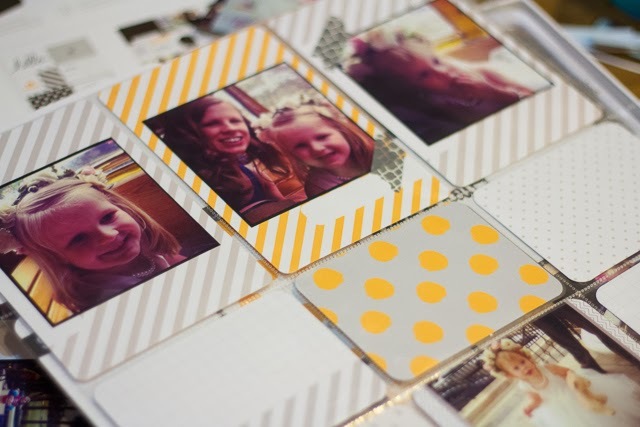 Each album is built around a kit of these cards that you slot in next to your photos – some with room to write memories on, others with cute sayings or graphics. There are lots of different kits to pick from. The one I chose (below) is called the Midnight Edition. You can find these kits on Amazon and craft stores like Hobby Lobby. If you’re a fan of the blog A Beautiful Mess, you should check out the kit they designed for Project Life – very colorful and fun! Candice’s idea to throw a party so friends could each work on a Project Life album couldn’t have come at a better time for me. 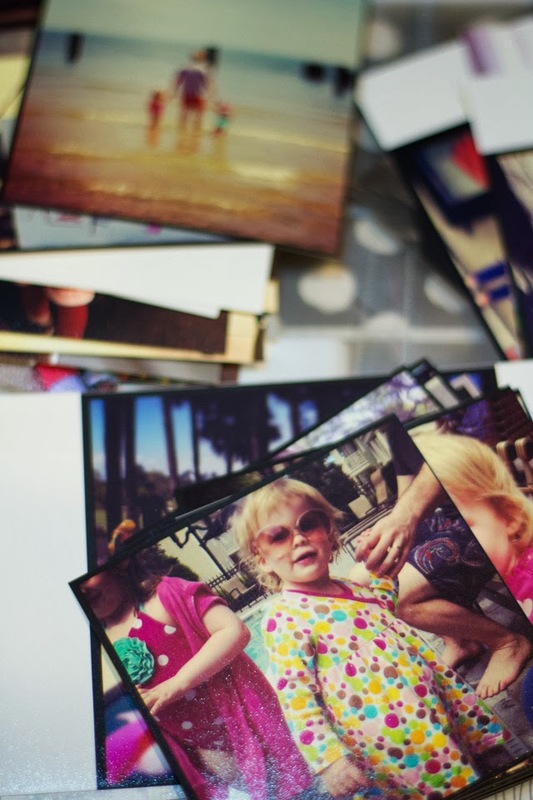 Other than my girls’ baby books, I haven’t put together a single family album since they’ve been born. All my photos are buried on my computer – I just downloaded 3,500 photos from my iPhone to my computer a couple weeks ago – yikes! I made a lot of progress in one night towards creating an album that my girls can have fun looking through. It felt like a big accomplishment! This party reminded me of my Design Improvised DIY Nights of the past (hopefully to be revived again soon!). 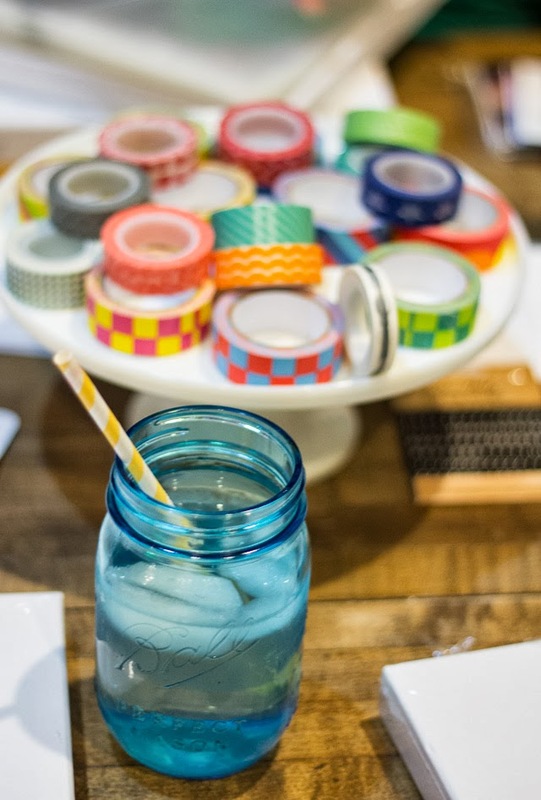 If you’re looking for something for a group of your girlfriends to do together, a Project Life party is such a fun idea. I mean, what girl wouldn’t like a party where the centerpiece is a cake stand full of washi tape and you get to drink out of Ball jars?! I really enjoyed getting to know fellow San Antonio bloggers Colleen, Sara, Amanda, and Amy at the party. 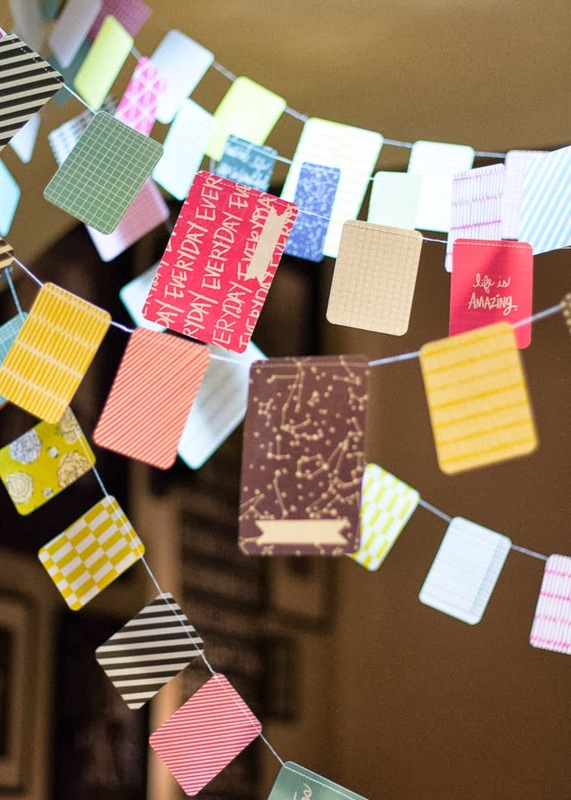 Be sure to check out Candice’s post for more details of the party and decor, like this garland she made out of the Project Life cards. Such a great idea. I’m curious, have any of you made a Project Life book? Tell me about it! 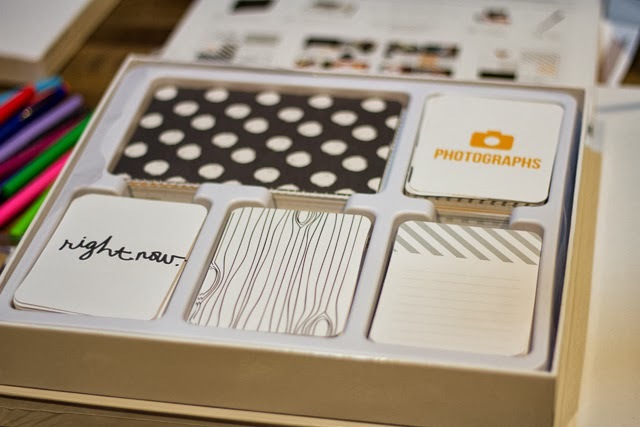 I received products from the Project Life party. All content and opinions are my own.